Natio recently released the Naturally You Palettes, each palette contains 12 shades and go by the names of Bloom and Earth. Before I get on to the individual palettes let's discuss things that are the same across both palettes; packaging. The palettes are made of a sturdy clear plastic with a snap closure, they don't have a mirror but they do contain a rubbish brush (foam applicator and synthetic shader). I can't wait for the day brands realise these are a waste of space. The Nation Naturally You Bloom Palette is heavily rose toned across the board and you wouldn't be crazy if you thought it looked familiar, it's got a heavy Naked 3 theme going on which I discuss a little in the video. The shades are all very pretty and a palette like this (or the Naked 3) encourages the right way to wear pinks on the eyes. The lighter shades don't swatch super well but with a good primer they work quite nicely, as you movedown to the darker shades things really improve, the formulas are nice, they have good pigmentation and they blend and layer very nicely. The Natio Naturally You Earth Palette is more on the cool toned neutral side and has some similarities to the Naked 2 but they are different enough to not really have me raising my eyebrow too high. These shades all work really well together, the formula is consistent with the Bloom palette and although the lighter shades are again less pigmented, nothing is a huge flop. For a large palette that will set you back $20, these are really quite impressive. If you already own the Naked palette equivalent then I don't think they are necessary by any means but if you're looking for a cheaper option that you can grab from your local Priceline then I definitely give them my stamp of approval. 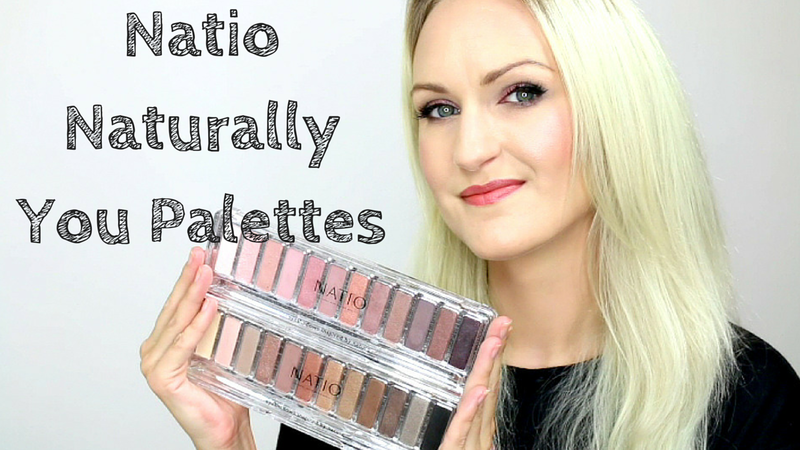 Natio Naturally You Palette in Earth retails for $19.95AUD at Priceline. Natio Naturally You Palette in Bloom retails for $19.95AUD at Priceline. This post contains affiliate links, if you choose to use them I thank you kindly!